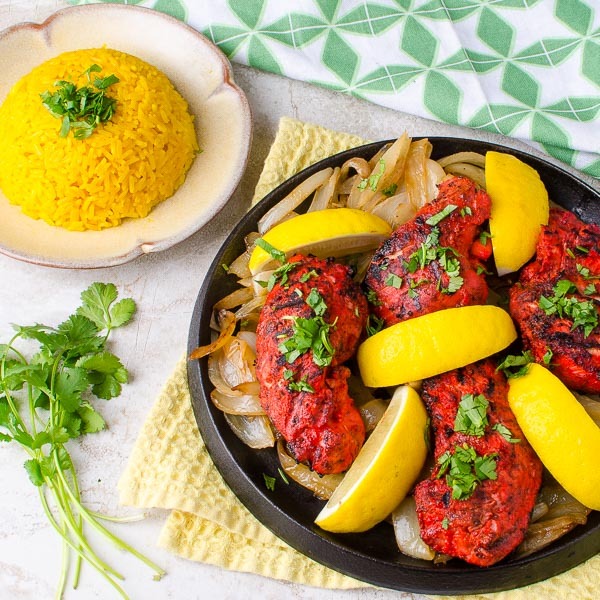 Chicken Tikka or the Classic Tandoori Chicken from India has become famous all over the world and the variety of recipes is almost endless. 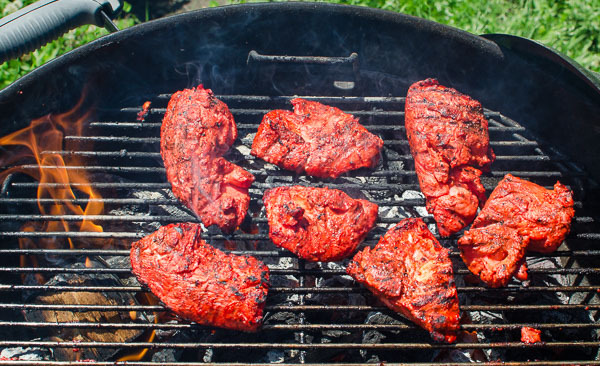 If you've ever seen how it's done, the Indian tandoor cook lowers red chunks of raw chicken threaded on 4 foot metal rods into a blazing hot tandoor oven. A few minutes later, he removes them at the perfect moment all charred and smoky and pushes the chicken onto a plate using naan bread as his tongs. 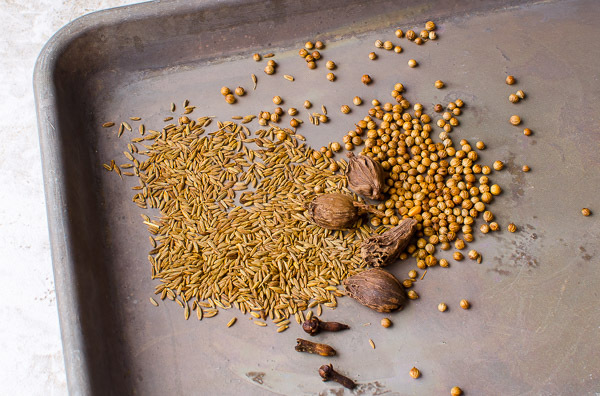 Of course, I don't have a large bell-shaped tandoor so I'm going to use my trusty Weber grill in this recipe. 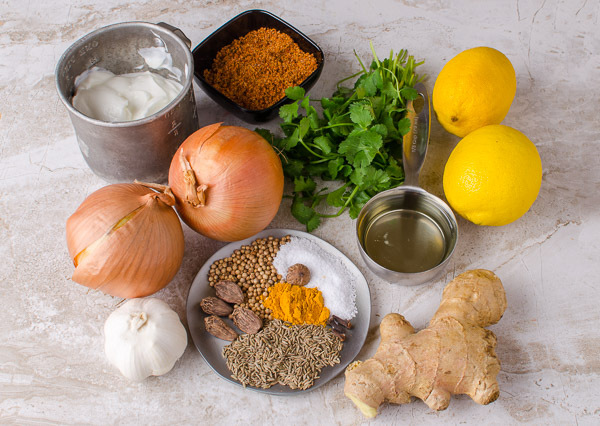 The basic idea is simple enough, the marinade of yoghurt and lemon juice tenderizes the meat and the grilling brings out the flavor of the spices. This is a great tailgate or camping dish as you can take along the bag of marinated chicken in your cooler to grill outdoors. The tikka has morphed into Chicken Tikka Marsala when it travelled to England and I'll cover that chicken and sauce recipe in the future. The best tandoori I've eaten was served with just a squeeze of lemon juice and some basmati saffron rice. 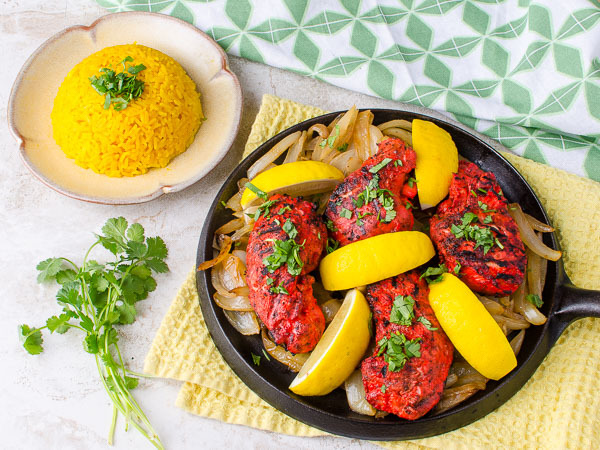 In my recipe, I added sizzling grilled onions to provide a sweet vegetable accompaniment to the chicken. You should allow the chicken to marinate overnight for best results. If you don't have an outdoor grill, you can also do it in the oven broiler. Note that my cooking technique in the recipe below results is super moist chicken breast. You must let the chicken rest covered so the residual cooking takes the chicken into the 150-155F zone which is perfect for chicken breast. 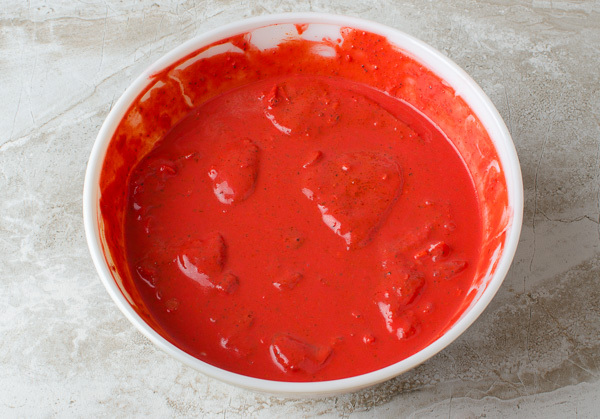 Mix all the marinade ingredients and pour into a gallon plastic bag. Add the chicken pieces and marinade overnight in the fridge. Preheat your grill to 275F pit with a medium-hot and a cool zone. Add your favorite wood chunks. Remove the chicken from bag and brush off excess marinade. 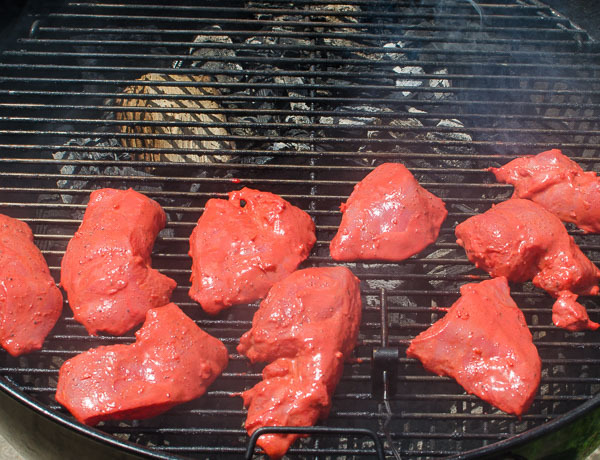 Place the chicken on the indirect side of you grill and smoke until internal is about 110F (about 15 minutes). 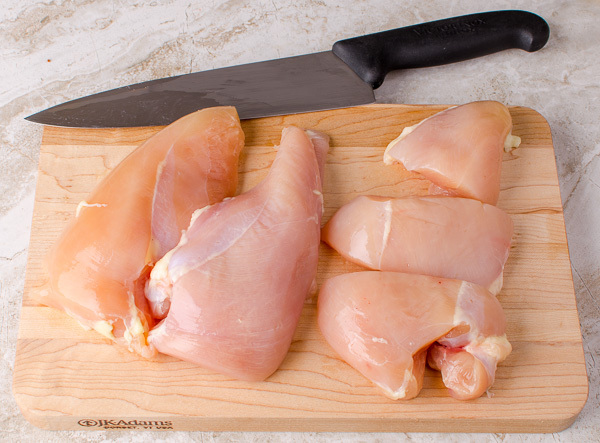 While grilling the breast in the medium-hot zone, use an instant read thermometer to check the temperature in the thickest part of the breast. When you see 145F, remove the breasts and place into a half foil pan. Cover the half foil pan tightly with foil and allow all the chicken pieces to rest for 15 minutes. The internal temperature will then climb to about 155-160F.